Do you consider yourself a bit of an introvert? Getting press and PR for yourself and your business can be hard at the best of times but it can be even harder if you are someone who feels more comfortable behind their computer than out in the world. Good news is you can earn media mentions and coverage without even leaving the comfort of your couch! I think more and more people these days would say they are introverts rather than extroverts, or even a combination of both, but that doesn’t have to be a negative when it comes to getting the media’s attention. You don’t need to be a total extrovert to get press and promote your business. These days there are many people who are running online businesses and getting it done like a Boss from behind the computer screen. There are lots of great ways to connect with the media, even if the idea of standing in front of a television camera freaks you out! Here are just a few ways your introvert ways can be a benefit. You can still earn media even as an introvert. No worries if getting out in person in real life makes your sweat, that’s the beauty of social media. You can do everything in the comfort of your own home from behind your computer. Social media is a great way to connect with journalists. Be sure to make your social media profiles (Twitter, Facebook, Instagram, Pinterest, LinkedIn) as complete as possible. This is a great way for journalists to find you and the stories/content you are sharing. 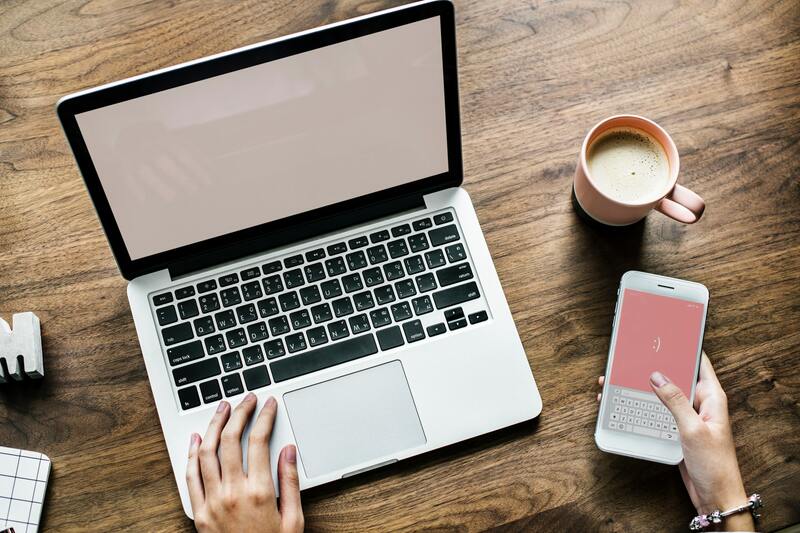 If you are running a business, especially an online business, you are using social media to connect with your customers and community already so be sure to add researching and engaging with journalists part of your to-do list. Don’t forget that is how journalists are finding you too! Social media platforms are also a great way to find journalists to follow, see what stories/content they share and find out what they talk about. About 70 percent of journalist say they use social media, like Twitter, every single day to do their jobs (researching stories & finding sources). Create a list on Twitter of all your media peeps so you can easily find them. Social media platforms are also a great way to find journalists to follow, see what stories/content they share and find out what they talk about. Anywhere from 50 to 70 percent (depending on the case studies and research) of journalist say they use Twitter, every single day to do their jobs (researching stories & finding sources). Create a list on Twitter of all your media peeps so you can easily find them. Your website is also a way for journalists to find you. You want to make sure you have all your important contact information on your website. Make it easy for producers and reporters to reach you. Be sure to leave an email address and phone number in a spot that is easy to find. If the only thing you have is a contact form as a way for people to get in touch you will likely miss out. Journalists don’t have the time to look for your contact information or fill out a form and wait for you to get back to them. A great way to make sure you have all the right information is to create a Media Kit or Press page and post it as a page or a pdf on your website. That’s O.K. Journalists rarely have the time to attend events in person, especially producers, as a way to search for stories or contacts. Even if they do attend networking events and the like, they are there to have a good time just like you, so don’t expect them to come with notepad in hand to source stories. If you are pitching a story to a producer, email is still your best bet. You would rarely find producers taking pitches in person at an event, they likely want to leave work in the newsroom. Networking in person is a way to collect the contact so you can build a relationship later on. Afraid to make cold calls to journalists? Well, that’s a good thing. Many journalists are not fans of the phone pitch. They are busy people and are always on deadline. Many journalists rarely have the time to chat on the phone and prefer to get pitched via email. Remember what I said about 70 percent of journalists use social media every day to source stories? Well, the same number of journalists still prefer to receive story pitches by email. They can read the pitch when they have time! That is not to say phone pitches aren’t possible but you need to do your research first so you know when it is best for a journalist to chat on the phone. This one is great! If you are sharing great content and are active online, journalists will find you. Build a great website or blog and create content that resonates with your community and clients then journalists will find you. Start sharing that content via your social media channels and you increase the chance they will find you. Many journalists use social media, like Twitter, to research stories and search for ideas. Let them find you! Be sure to include a media kit on your website or, at least, have all the necessary information, like phone number and email, so the journalist can contact you. Don’t make them work at finding you. So, in order for journalists to find you, you need to be sharing great content from your own blog/website but also from other sources via social media. Be sure to share stories related to your niche or industry and add some comment/commentary. You want people to get a sense of who you are when you are sharing. It is all about creating a solid online profile or footprint. You want to drop those crumbs – leave a solid trail – so journalists can follow them to find you. HARO (Help A Reporter Out) is a great way to connect with journalists. Sign up for free and you get emails every day (even multiple times a day) to your inbox listing journalists looking for experts/guests/contacts for their stories. Sourcebottle.com is also a great tool you can use to get press. Both of these allow you to sit behind your computer and find journalists who are looking for someone just like you! I know you are probably wondering how you can do PR & media if you are an introvert and prefer to work from behind your computer screen but hear me out. I know most people think doing media and getting press means getting on television. Sure, that’s a big part of the media landscape but it’s not the only game in town. Radio, podcasts, newspaper, magazine and website interviews make up a large portion of the media landscape. OK, those mediums make up practically the rest of the media landscape and the best part is you can get yourself in all of them while sitting behind your computer. These are the best forms of media for all you introverts. You can do interviews for all of these from the comfort of your home – think Skype calls, phone interviews, and email interviews. You don’t have to do T.V. to get press. There is no doubt more and more of us are making a living from behind our computer screens. It is a way for introverts to comfortably be out in the world without being “out in the world”. Don’t let the introvert in you stop you from reaching out and getting press. I’m so excited to be here getting the chance to share my knowledge with the She Owns It community. I have spent nearly 20 years working in some of the biggest television and radio newsrooms in Canada. I have seen my share of good, bad, and ugly story pitches and press releases. So, now I am sharing tips, tools, and techniques with entrepreneurs so they can better pitch the media to get mentions, press, and publicity. It’s a win-win-win really. I get to help people share their business and mission with the world, entrepreneurs learn how to better connect with journalists for press and publicity, and, finally, I get to help my Journalist friends get better stories to share with their audiences. When I am not doing my media and PR thing, I am blogging, occasionally filling in on the radio, playing news anchor, and I also teach in the journalism program at a Canadian college. So where else can you find me? Swing by my website and social media channels for tips, techniques, and strategies to help you get media mentions, press, and publicity. Oh, and of course how to work with me. There is no doubt when you earn media coverage you are getting visible. Big time! And for many people, the idea of that freaks them out. They like the idea of getting their business in front of more eyeballs and bringing in more customers and revenue but stepping out in front of their business and being seen is scary to them. First, I should remind you of the benefits of getting media mentions, press, and publicity. It isn’t just about getting on T.V! Getting your name, face, and business in the media allows you connect with an audience of potential customers in a real and authentic way, you get to share your knowledge and expertise building up your know, like, and trust factor, and by being mentioned by the media you get an automatic third-party endorsement. All great things for your business! I am here to challenge you when it comes to those fears and limiting beliefs keeping you scared and stopping you from going after media mentions and coverage. I can’t tell you how many times I have heard from entrepreneurs that they are just not big enough to earn media, they aren’t ready yet, they are not sure why a reporter would want to talk to them, or they are afraid they won’t have anything to say. All fear based, limiting belief stuff there people. Let me tell you that most journalists don’t care how big your company is or if you are a “big deal” in your business or industry unless it is relevant to the story you or they are telling. What they care about is the story. They care about if you have expertise that resonates with their audience. What journalists care about is if you can help them educate, entertain, and/or enlighten the audience. 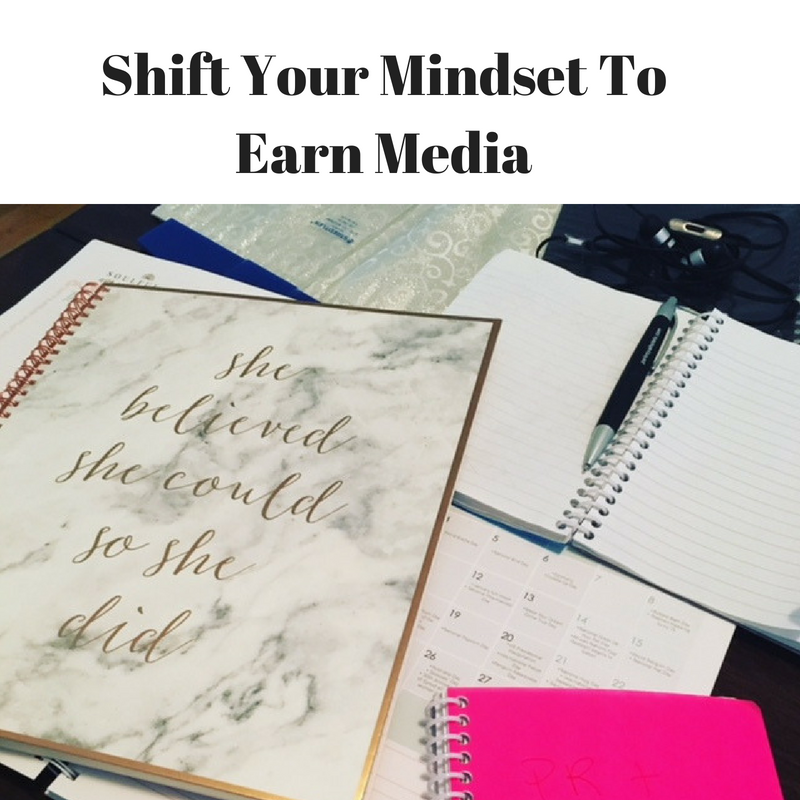 So let’s challenge those myths, fears, and limiting beliefs when it comes to earning media, press, and publicity. Here are 3 ways you can bust through to confidently earn media for you and your business. This is really important. Getting media is not really about you, it is about the journalist and ultimately, the audience. It is about being of service to them. So do that. Don’t make the story, segment, article, or show all about you and selling. You ultimately benefit from getting media coverage and letting people know about you, your service and/or products but that is not what it is all about in the media. So think about educating, entertaining, and or enlightening the audience. Being of service is also going to help you kick some of those limiting beliefs of not being a big deal or not being THE EXPERT. All you are doing here is helping people live happier, healthier, more fulfilling lives. And isn’t that why you are in business? So remember how I just mentioned about not being THE EXPERT? It is that feeling of having to be the expert of their business, niche or industry that can sometimes keep people small or hold them back. Don’t think of it as being the expert. You need to make a shift in your mindset and embrace your expertise. We all have different expertise based on our unique life, family, business experiences. Embraces that. Share your uniques expertise and you will never feel like you have to have all the answers for all things because you just have to have the answers based on your own personal expertise! The myths and lies we tell ourselves can be pretty harsh sometimes. When it comes to media and PR things people believe don’t actually have any basis in truth. So, to challenge those I want you to get social proof. This is really about recommendations, referrals, and testimonials. When your customers and clients sing your praises that is proof you are a big enough deal, that you do have something to say, that a journalist would want to talk to you, you can entertain, educate and enlighten people and help them live healthier, happier lives. Research is the key to understanding. Often times the fears people have around earning media comes from the fact they don’t know the process of pitching a journalist, they aren’t sure what to say or what journalists want. My answer to that is research. Take a little time to arm yourself with knowledge. Read, watch, and/or listen to the media outlets, shows, and publications you want to appear in. Familiarize yourself with the people who produce the content. Ask questions. Take some workshops. Once you arm yourself with the knowledge you can kick those fears to the curb! A big fear for many entrepreneurs is making a mistake or not looking or sounding good on television or radio or even during a phone interview. There is an easy fix for that…PRACTICE! The more times you do something the easier it is. If television freaks you out, then start practicing on video. You can do some Facebook or Instagram lives. If you don’t want anyone to see your videos then just record them on your phone and watch them back. It doesn’t have to be fancy here just get the practice in! If it is the audio part of media that you are afraid of then again, just record your voice and listen back. You will start to improve as you become aware of the areas you feel are weak. You could also find an accountability partner. Pair up with someone and interview each other! Practice and the more familiar and comfortable you are the less afraid you will be to step into the spotlight! When it comes to media coverage so many people talk about getting attention for being an expert. We see it all the time on TV news or lifestyle programs. People are often referred to as the expert. Do those titles sound familiar? We tend to toss the word expert around a lot. We get hung up on the word and then you start to think about whether you are an expert or THE EXPERT (yes, I used capital letters on purpose here!). You know what that is? It’s that little voice of doubt creeping in. You know the one! It’s the little voice that tells you that you are no expert. You think to yourself that experts are all the other people in your niche or industry. They are the ones who know everything about their niche or industry and they have all the answers but that isn’t you. It is that little voice of self-doubt that stops many people from getting visible and it definitely stops them from pitching the media. You think if you pitch the media and the journalist says yes and interviews you people will figure out that you don’t really know everything, or anything really. Your little voice of self-doubt tells you that you are NOT the expert in your industry and you don’t know enough to be that expert on TV or the radio. Let’s face it, what we are really talking about here is that old imposter syndrome thing. I think it is fair to say everyone experiences it at least once in their lives. So how do you beat it? It’s all about a mindset shift. When you start thinking you have to be the expert with all the answers that’s where self-doubt starts to come in. You don’t have to have all the answers. Let’s be real here. NO ONE HAS ALL THE ANSWERS! Shift your mindset and start thinking about it from the perspective of expertise not being the expert. It’s all about a shift in your mindset. So I want you to change your mindset. I call it your media mindset. Let’s change how you see yourself so you can better pitch the media to earn mentions, press, and publicity. I want you to see yourself not as an expert but as someone who is sharing your expertise. We all have expertise; in business, in life, in our relationships, and in our families. When you start to think less about being the expert and more about sharing your expertise you open the door to more media opportunities. You can start sharing your expertise in all areas of your life. Start thinking about all the areas of your life that you have expertise in. What I want you to do is to sit down and do a little brainstorming. (Yup, I am giving you some homework!) Get out a pen and paper or open up a new document on your computer and write down all the areas you have knowledge and expertise in. Remember, it isn’t about being THE EXPERT, but sharing your experience in a number of different areas. Need a little help to get started? Here are just a few areas you could look toward when it comes to experience and expertise. This exercise is really meant to get you thinking about all the areas of your life that are worth sharing with others. Sharing your expertise, especially via media, can be valuable and helpful to others. It can be entertaining and enlightening to others and that is exactly what journalists want to do when they share stories with their audience. The media wants to educate, entertain, and enlighten and you can help them do that when you share your expertise. Once you finish up your brainstorming exercise to find your areas of expertise you are ready to start looking for ways to share with the media. Remember, think outside the box here. Your media mentions don’t have to be all about your business. Think about all the ways you can share your expertise to get your face, name, and business in front of a bigger media audience. Everyone has expertise worth sharing! Working in marketing and public relations has introduced me to many people. These people have operated different businesses, worked in different industries and had different personalities. I am a huge proponent of establishing each of my clients as a thought-leader in their industry. To do this, I start by helping each client create cohesive and educational content that engages their audiences. Upon explaining this to clients, I find that many of them have something else in common: they want to be viewed as a thought-leader and featured in these major media sources but don’t want to do the work to get there. Many times their reasoning lies in not having the time or bandwidth to create content. Other times, their reasoning lies in the mentality that they are too good, or even the best, and they shouldn’t have to start small just to get big. “Started from the Bottom Now I’m Here” – You might know this lyric from Drake… And it may seem funny to you that I am quoting Drake in this blog post. Trust me, I have a reason. Many times, the people you see on Conan or the Today Show were not just put there for no reason. The people you see on TV or in articles online typically started their career in a much smaller way… at the bottom, let’s say. For example, Gary Vaynerchuk, marketing expert, started his career by writing blog posts that had only 6 readers and by recording video interviews that only had 19 viewers. Over time, Gary gained a following and as his influence grew, so did his audiences. Because Gary never said “no” to these small audiences, he was able to get his name out there to the people who mattered and to the people who would eventually feature him in major media outlets. 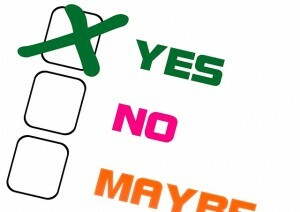 Depth vs. Width – Another important aspect of never saying “no” involves going deeper with your audience versus wider. This means that rather than speaking to thousands of people who may or may not care about what you have to say, take the time to nurture the relationship you have with your current community. As with all marketing, building trust and likability with your followers largely lies in fostering that partnership you have with them. The best way to do this is by strongly focusing on them and their needs rather than on the people who weren’t engaging with you in the first place. Understand that even though this is a smaller audience, they will hang on to your every word because you already have their like and trust and those are the people you want to give your all to. Opportunities with big networks may only come once in awhile, but you will always have your community to support you. 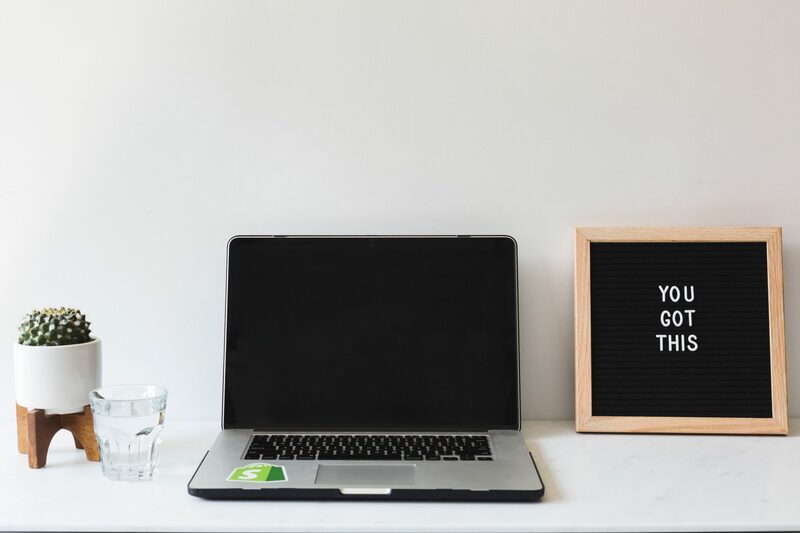 Having Humility – Let me repeat part of the title of this blog post: You are never too big to say “no.” You may have already done thousands of videos to less than 100 people or written guest blog posts to audiences of 6, but there is always value in doing more. You may have already made a name for yourself, but that doesn’t mean somebody won’t find new information in what you have to say. Each small opportunity has the potential to lead to a greater one… whether it is with a bigger audience or even a business transaction that you didn’t expect. So, even when it seems like a ten minute interview won’t be worth it or a guest post to a less-traveled blog won’t make a difference, think again. Take those opportunities to nurture the relationship you have with your advocates and use them to perfect your message to future, larger audiences. Brittney Borowicz is an integrated marketing professional with a strong communications background specializing in journalism, public relations and social media. Originally from the northwest suburbs of Chicago, Brittney has spent the past few years working with entrepreneurs and start-ups in the Chicagoland area to enhance their marketing and social media efforts. Prior to her current role as the Marketing Manager for an embedded networking company, Brittney realized her affinity for all things media and marketing while working in radio and television and as a professional presenter. 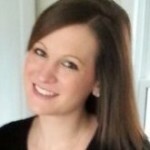 Later, she began working at a couple of small marketing agencies in Chicago as a Public Relations and Sales Director and Account Manager, which required her to be well-versed in coordinating specialized public and media relations strategies, creative marketing initiatives and cohesive sales process implementations. As a strong believer in intimate consumer/brand involvement, Brittney helps her clients create content that engages and educates brand audiences while establishing each individual or company as a thought leader in their industry.